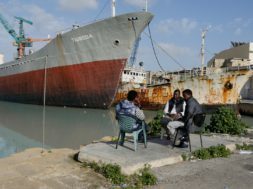 As the situation of the islands in the Mediterranean off the African coast is also heavily affected by refugees the Maltese Presidency will focus on migration, maritime affairs and Europe’s neighbors. Even in Malta with its limited habitat, the migrants are met with great resistance. Malta will be represented for the first time since 17 years at the Venice Biennial with its own pavilion in 2017. The exhibition will raise questions about cultural identity, the concept of the nation and territorial integrity and its references to the Maltese culture and identity. In 2018 Valletta will be cultural capital of Europe and will open a contempory art show dedicated to the sea.